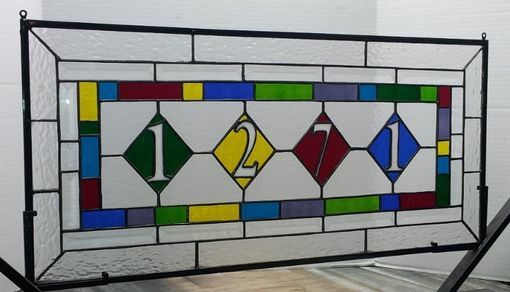 This fun and colorful set consists of one Transom with address marker and two panels in different sizes. All colors are waterglass in all three pieces. 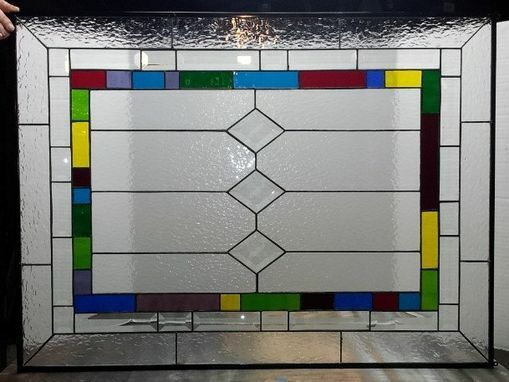 There are 1" clear bevel border in each window. 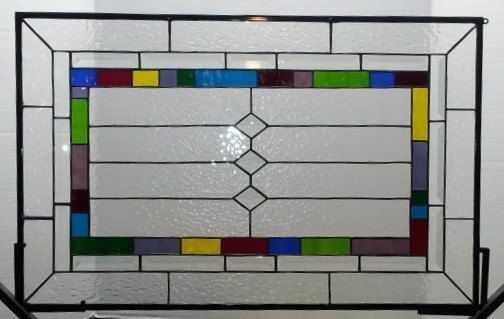 The inside border and outer border are made from two different types of clear texture glass. 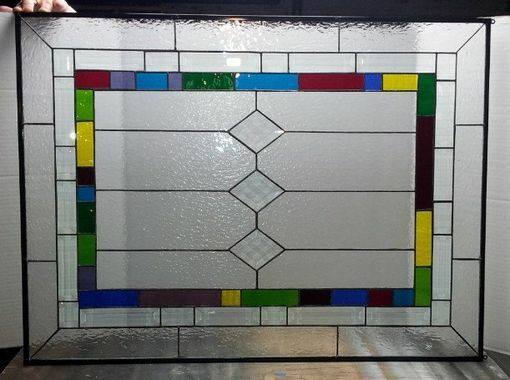 There are beveled diamonds in the center of the two regular panels and they can hang either vertically or horizontally. The transom has white translucent house numbers and is also a hanging piece. The frames on all three pieces are 1/4 metal painted high glass black. Panels come with hangers installed upon request. Feel free to choose any glass color or texture combinations that you like.